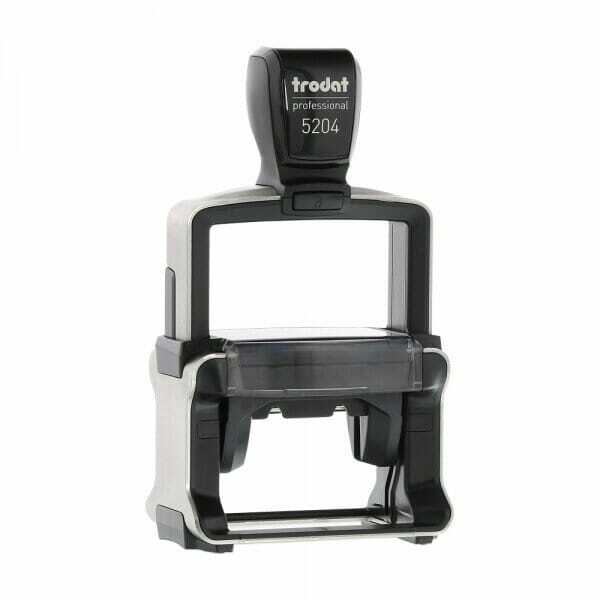 The new Trodat Professional 5204 self-inking stamp is perfect for everyday use in a busy office environment, thanks to its new brushed stainless steel finish and high quality plastic build. An impression size of 55 x 25mm allows you to stamp up to 6 lines of personalised text, whether you use one of our templates or upload your own customised information. The compatible replacement ink pad 6/56 is available in 5 standard colours: black, blue, red, green or violet. Dry felt pads are suitable for special inks. Customer evaluation for "Trodat Professional 5204 56 x 26 mm - 6 lines"